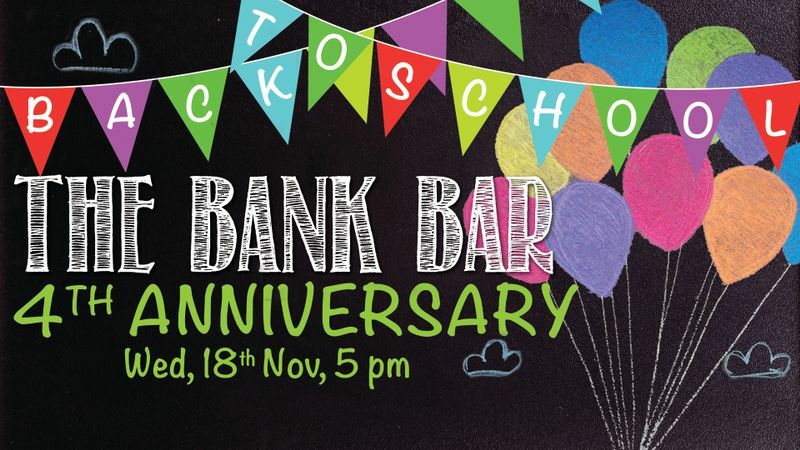 The Bank Bar + Bistro TURNS 4! Join us for a whole night of fun with amazing deals just for YOU! Reserve your table with us at 6636 2188.